To achieve low cost eco-housing we have to be creative in the methods, as well as materials, that we use to build houses. Compressed Earth Block construction has been around for many years and has been particularly used for low cost construction in the majority world (like Africa and Latin America). However it is just as relevant in the rest of the world and several companies are seeking to expand its use in countries like the United States. 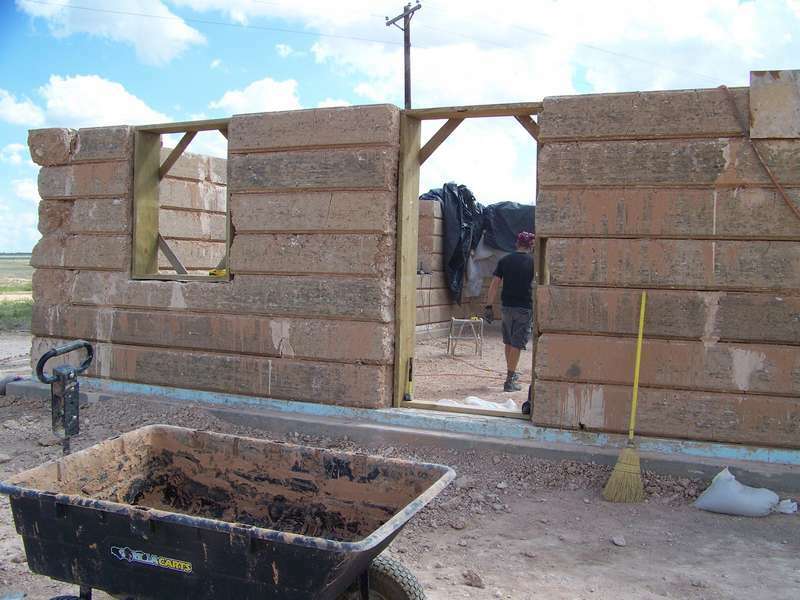 EarthCo Building Systems have developed an EarthCo Megablock which uses a machine onsite of a build to compress local soils into giant modular blocks. They call their ‘EarthCo MegablockTM machine’ a ‘modern factory on wheels’. The group argues that it is cost effective because it “saves on the cost of construction materials — onsite materials are basically free and eliminate most if not all transportation costs. Megablocks go directly from manufacture to a wall system (moved only once) eliminating inefficiency in the process. No storing, shipping or multiple handling of Megablocks is required. Saves energy required for construction — unlike concrete, steel, and wood construction methods that consume large amounts of energy during mining, harvesting, processing, shipping etc. This system requires a small amount of energy to process raw earth into a GCEB block and place it mechanically into a wall system. This results in the lowest embodied energy costs of any building system worldwide”. Cost is not the only advantage though, they also argue that it is time and labour efficient, mobile, durable and highly adaptable. 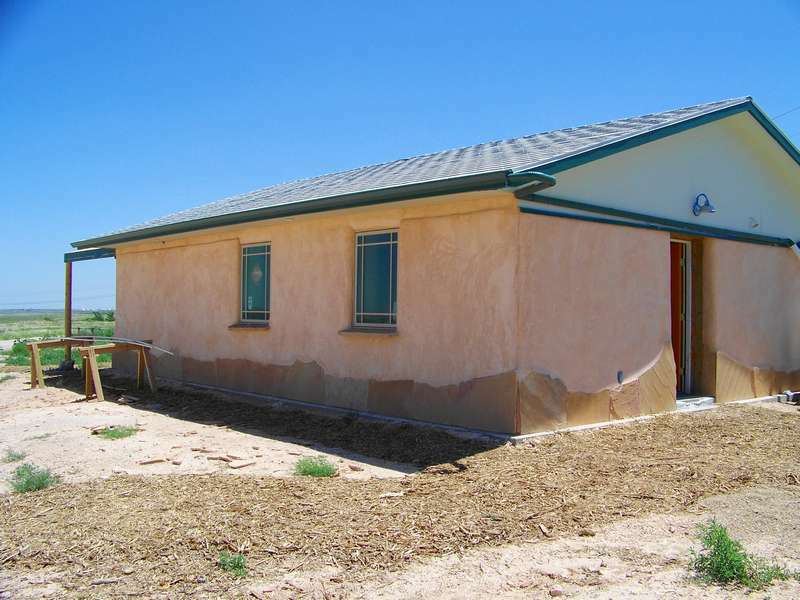 There is also a very interesting piece which outlines the history and low cost uses of compressed earth block by Wayne Nelson of Habitat for Humanity. Habitat seeks to eliminate housing poverty and homelessness from the world and to make decent shelter a matter of consciousness and action. What is particularly interesting about these types of methods are their prevalence in majority world countries, often advocated by non-governmental organisations from the minority world (such as the US and Europe), and yet how relatively little we have incorporated such methods into our own building styles. Are we capable of learning lessons from low cost housing projects in continents such as Africa, or are we better at exporting our green building ideas than we are at changing building methods in our own countries? I found the building industry in the US is very slow to change. Living in Florida, I was appalled to see a product such as aerated concrete, which has been tested and used for years throughout Europe, couldn’t catch on, finally putting the local YTONG company went out of business. I don’t know for sure what the reasons were, but I’m assuming it’s because it was different than what the building department was used to, so getting it passed permitting became difficult and contractors stayed away from it. There’s so much red tape associated with the permitting process that building with ‘new’ materials, let alone with earth, which just puzzles people (but dirt is dirty, how does it stick together?, won’t it wash away in the rain? are there bugs in the mud bricks?) takes a very, very long time to get used to. I find it interesting that it has become chic in Germany to build out of mud, but that in places like Bangladesh, where people have used mud for hundreds of years, are turned off by it because is as seen as something used only by the poor. Have seen a similar design of a house made out of railway sleepers. There is a lot of red tape to get through I know, but if we are looking to the future then houses like these are very important. To be able to source materials from the site you are living on is a big advantage. I am going to take a further look at the Megablock and see what it’s all about. The Leading Edge Group, Inc.,which markets its compressed soil block machines (CSBM) that turn clay-bearing soil into solid, structurally sound, inexpensive, construction blocks, will exhibit its CSBM machines at the Ninth Dubai International Humanitarian Aid and Development (DIHAD) Conference, April 1-3, 2012, at the Dubai International Convention and Exhibition Center. 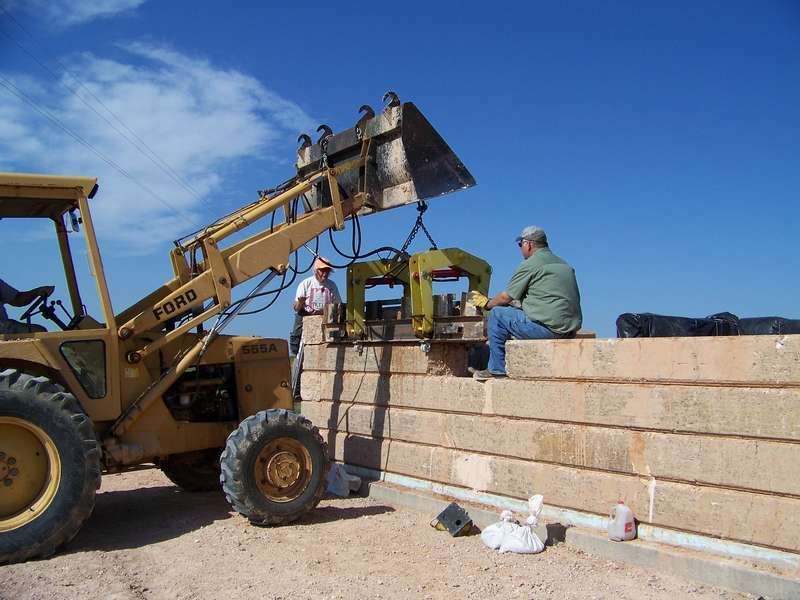 CBSM machines are ideal for arid climates. These machines can make environmentally friendly construction blocks that can be used to build structurally sound, inexpensive housing for millions in developing countries.